When Braden MacDowell is reunited with Lana Donnoli, will their rivalry douse the last spark of their youthful infatuation—or ignite embers that never stopped smoldering? 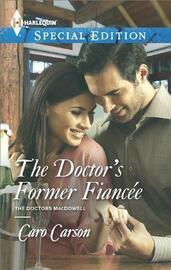 Don't miss this new installment of Caro Carson's miniseries, The Doctors MacDowell! 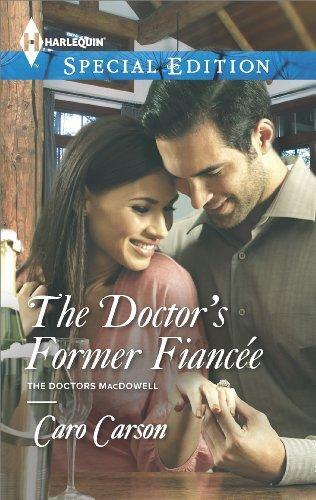 She didn't want to imagine that the Braden MacDowell she had once loved could have turned so cold and calculating. But the billionaire CEO was taking away Dr. Lana Donnoli's funding. Just what was going on beneath her ex-fiancé's icy facade? And just what could she do to get him to change his stubborn mind? The last place Braden wanted to be was back in his family's hospital, close to the woman who had owned his heart. His business was all about the bottom line, a fact Lana just couldn't comprehend. But their passion for each other was still just as intense, still impossible to resist. Would those old feelings be enough to get them to a place where love was the best medicine?